Happiness is in The Art of Living. And the good news is that you can discover happiness that stays with you. 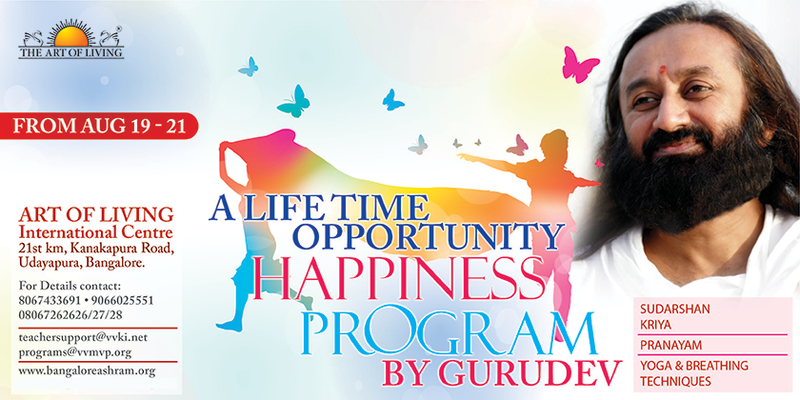 Learn the Happiness Program with Gurudev! Click Here to Register | Are You Staying Outside Bangalore? Click Here to Join!